As new top level domains (TDLs) are created, tech and domain registry companies throw around huge sums of money to own the rights to control them. Recently, Google and Amazon were among companies bidding millions for the rights to new TDLs like .buy, .tech, and .VIP. While Google bid on all three of the aforementioned TDLs, the company was beat out by Amazon and two domain registry companies. Amazon paid $4.5 million for .buy and and Dot Tech paid a massive $6.7 million for the .tech domain. Some reports suggest this number is approaching the record setting price for an auction of this type. Finally, .VIP went to the publicly traded domain resellers Minds + Machines for $3 million. While Google may have come up short handed this time around, reports suggest the company is showing interest in as many as 100 top level domains. The domains are auctioned off by ICANN, the organization responsible for coordinating and maintaining domain names among other things. The group is expected to put up a number of additional domains for sale before the end of the year. 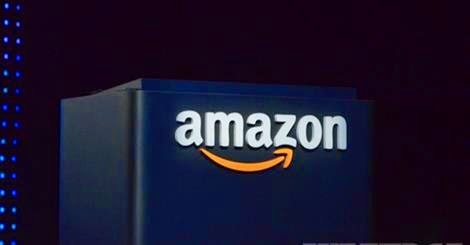 There is no clear indication what Amazon plans to do with its acquisition, but all of the above owners are in control of registering and distributing new URLs under those top level domains.